There are nearly 70 Minnesota state parks, and they are spread throughout the state. 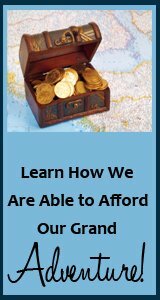 This means you cannot possibly visit them all in a single trip. The good news is that doesnt stop you from visiting the best state parks for the activities you want to enjoy. 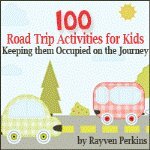 Load up the family and get ready to play in the fresh air, the sunshine, or even the snow. Take the trails through a beautiful meadow covered in wildflowers in the spring. Camp out for a night or two, or just enjoy an afternoon picnic with someone special. The Buffalo River state park even boasts an area suitable for swimming if you visit at the appropriate time of year. This is one of the most beautiful Minnesota state parks, but it also offers extensive ground for your family to cover. 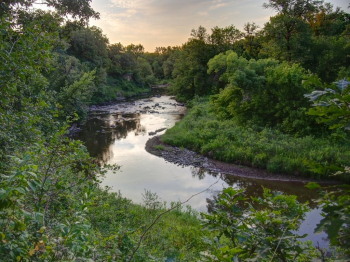 It connects into the Minnesota Valley National Wildlife Refuge and the Minehaha Park. There are extensive biking and hiking trails throughout the park, and the area transforms into an exciting ski destination in the winter. This park sits on the Mississippi River, and is cherished by birdwatchers all over the country. There are more than 250 species of birds known to migrate through the park in both spring and fall. No matter which season you visit in, you are guaranteed to spot an amazing assortment of colorful birds singing from the trees. The park comes to life in the winter months to entertain skiers, and hikers are welcome on the trails in all seasons. This is a unique state park that has two personalities. One side of the park is nestled in peaceful prairie land. This is where you can enjoy some relaxation in the sun with the family, including time spent on the lake fishing from a canoe. The other side of the park is rich in hardwood forest, and you can head out for fishing from a motorboat. There are also trails that can be explored in any section of the park. 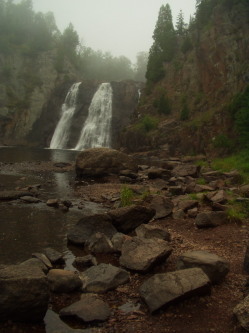 This park sits on the shore of Lake Superior, and is home to some of the most awe-inspiring waterfalls in the state. This is one of the best Minnesota state parks for nature photographers, since there are so many sights to capture between the falls, the lake, the trees, and the endless fields of wildflowers. This is the oldest of all Minnesota state parks, and one of the largest. It stretches out for more than 30,000 acres and is home to 100 lakes. Beyond the beauty of the forest, this park offers historical landmarks and miles of walking tracks. Camping is available deep in the woods for backpacking enthusiasts. 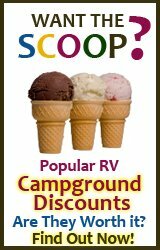 Hook-ups are readily available for RV visitors. Some cabins are available for rent. Visit a restored 1800s village, then slip underground to be mesmerized by the caves. When you are ready to hit the trails and be surrounded by trees, select between horseback and your hiking legs. This is one of the most diverse Minnesota state parks, and there is something for everyone to enjoy. This is one of the few Minnesota state parks that allows rock climbing. There are some super challenging climbing ranges within the park, some taking you 200 feet off the ground. Climbing permits are required, but are offered free at the park. If you are brave enough to make your way down, the inland lakes are at the bottom of the mountains and can only be reached by foot. This is a climbers paradise, but it can also seem like paradise for hikers. This is paradise in Minnesota if you enjoy fishing. Whitewater River and Trout Run Creek stand waiting and ready with tons of rainbow trout. Other trout can be caught in the waters as well. With limestone cliffs and trees stretching out in every direction, this is a beautiful park for snapping pictures, camping out, or just hiking the trails. The visitor center is open all year round. You may feel like you are in California or Florida when you visit this sandy state park in the middle of summer. You can take off your shoes and enjoy the sandy shores of the Lake of the Woods. This is one of the largest lakes in the world, and it is the prized feature of the Zippel Bay State Park.